Shallow Side hail from Cullman, Alabama, and deliver hard-rocking, guitar-heavy songs that carry great energy both live and on tape. The band – which brings together vocalist Eric Boatright, bass player Cody Hampton, guitarist Seth Trimble and drummer Heath Fields (Drums) – recently released its debut album, “One,” and the gents are touring to support the new songs through much of 2017. Hampton checked in with Anne Erickson to discuss “One,” the band’s recent cover of a Styx classic and why rock is anything but dead. Congratulations on your debut album, “One.” What was your goal with this album? Well, we came up a few songs short of a full-length, but we will be pushing our new release of “One” to take the band to new heights. It is very promising in the early stages of the release, and we are excited to see what the future holds. Shallow Side are out of Cullman, Alabama. How has coming from Alabama influenced your sound? Alabama has extensive history in the music industry. The Muscle Shoals area has been shaping sounds and making a tremendous impact for decades, and although we are not from the Shoals area, we also are not very far from there and have taken great influence from the legends who helped mold music both past and present. What are your thoughts on the whole “rock is dead” argument? We have been living and breathing rock music for the past six years, playing over 200 shows per year, and have witnessed first-hand the beauty of it all. “Rock is dead” could not be more of a false statement. We went into the studio knowing we wanted to do a cover song, and after pitching a few different ideas back and forth, we never found anything that stood out to us. As we were taking a break from tracking, trying to clear our heads, we noticed “Renegade” playing in the background and unanimously agreed that was the song to display our rock roots, as well as put a modern twist on a classic hit. “Fight or Flight” is your newest single off “One.” Tell me about the meaning behind the track. It’s the hardest hitting track on the EP, and the lyrical content drives the point home. Life is not all sunshine and rainbows. It is not about how many times you get knocked down, but rather how you respond when you get knocked down. Shallow Side understands this as well as anyone. We have had to overcome crippling injuries on multiple occasion and been left stranded on the road by crooked booking agents in our early stages of touring, but “quit” is not a word in our vocabulary. “Fight or Flight” is exemplary of this mentality that always has driven us to push forward. 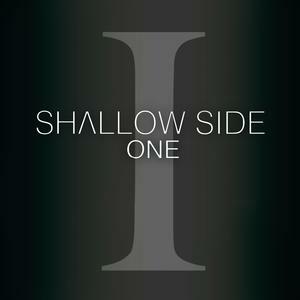 What’s next for Shallow Side? Touring. We will be doing extensive touring to support “One,” and everyone coast to coast will be invited to come to a show at some point. First up will be the “Rebels & Renegades” tour with Seasons After and Guns Out at Sundown. We also have multiple festivals in the works. All dates will be posted at www.shallowside.net along with merch, and you can even order a physical copy of “One,” and we will ship it to your door!